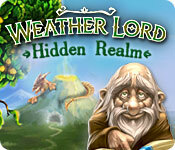 Weather Lord: Hidden Realm is rated 4.1 out of 5 by 55. Rated 5 out of 5 by Bumbles2 from I loved this game from start to finish I must be playing this backwards...I've played most of the others but by the looks of some of comments this must be the 2nd one they sent to us...and was pleasantly surprised...its a fabulous game !!! I found this game very addictive like another player commented on...I couldn't wait to get back to playing this smart little game. Its not a difficult game to play...although it does have a few challenges and if you play it right you won't have to re-start the level. The graphics were great....the toon comments were legible and some of them were quite hilarious !!! As far as the story-line goes it was a tiny bit vague...but still able to follow it. The music was upbeat and pleasant to listen to. Have fun guys...I hope you have as much fun as I did !!! Rated 5 out of 5 by cutekittykimmy1 from Great game I downloaded this game by mistake for the free trial. I am glad i did as the game as a slight twist to it. I love how you have to use the weather to help you to clear the paths. Worth a go just to see how you like it. Rated 5 out of 5 by ember89 from great little builder lots of fun to be had with this one! 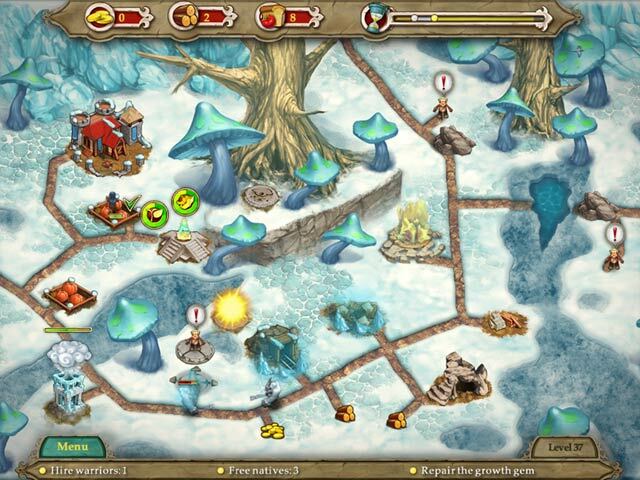 harnessing the elements is just one piece of this building puzzle with cute graphics and whimsical music! definitely worth a try! Rated 5 out of 5 by AwesumDude from This Weather Lord is right On! This is a great TM game. What i like best about it is that there is no time limit. Actually there is but it does not limit the game play. 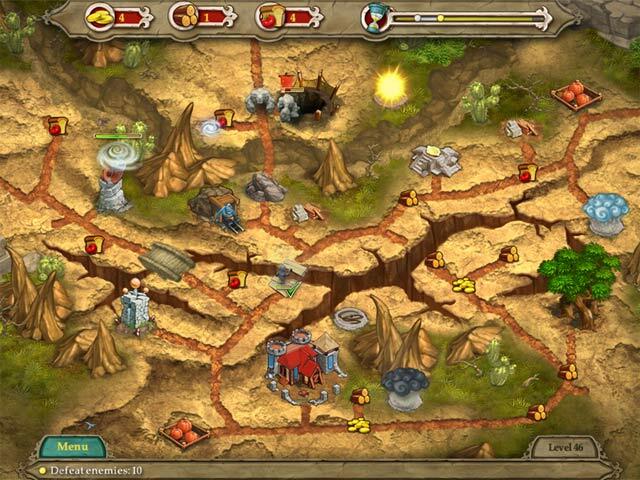 I have played other TM games like Road to Rome where how quickly you finish the tasks determens pass or fail. WL does not do that. Sure you will not get as many points or rewards but it is a relaxed TM. The graphics are great. The music is good, (though I turn this down in my TM games) and the story line is okay. It is just plain relax fun. Try it.!! Rated 5 out of 5 by Lmrb from Great TM Game This was one of the best TM games I have played. I did not like the first Weather Lord but this one was GREAT!!! Graphics were good, challenging, a lot of fun. Would love to see another one like this soon!!! Rated 5 out of 5 by lacard from Weather Sunny and Improved Thanks to the other reviewers, I tried the free hour and had to buy it. Snored through the first Weather Lord free trial. I'm close to the end and have played for quite a few hours. More strategy and planning than most builder-tm games. No glitches !!! Graphics are Middle Earth-ish. Appealing but not too-too cute. Music upbeat and pleasant. Sound effects are relevant and support game play. Each level has a storyline consistent with the goals. You can play with or without hints from the Options menu. You can mute music and sound effects but, for a change, I didn't need to mute anything. 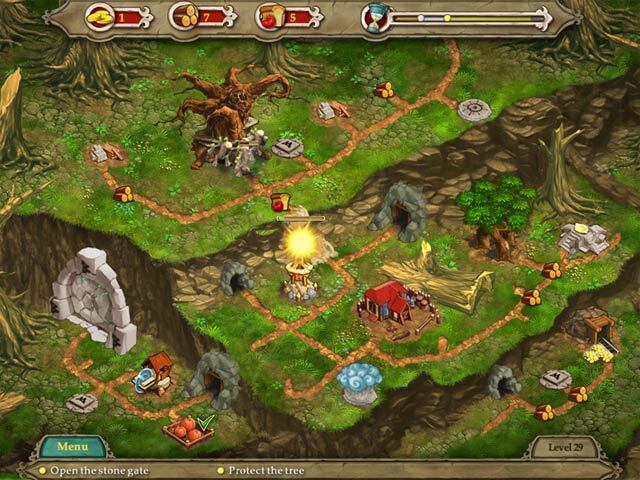 Gameplay requires strategic selection and placement of a house, forge, mill, and weapon towers built with wood, food, and gold. I found that the weapon tower types and locations mattered. All building and resources are explained from the main menu. There are workers and warriors. This cuts down on frantic clicking. Resources can be renewed with the sun and rain cloud. Very re-playable. I'll probably go back and play it again in the future under a new name. My only suggestion to the developers would be to include an endless mode. Rated 5 out of 5 by marnik78 from I like this one! This is my favorite TM Game I've played so far. I love the graphics, the characters, the story line, etc. The music is pleasant. Very entertaining gameplay with interesting storyline and without annoying dialogues. Tutorial is excellent although without it the game's clear! I certainly recommend this game to anyone who is a builder, TM fan. Rated 5 out of 5 by Morenita13 from This game is a must-play! Great game! The scenario is really interesting with enjoyable challenges. The characters are good and well-drawn also. Always lots to do on it and gives you a way to be really creative. Properly one of the best games of all times let alone 2011/12. You can play for days on end and never get bored. I recommend this game!!! Rated 5 out of 5 by petit99 from First TM Game I Got All Gold!! YAY!!! I became a fan of TM games when I found MKFP. Before that I hated them because they were burger rush games and the like. So I played all these new ones I found but try as I might I just couldn't get gold on all levels because I wasn't fast enough - even with walkthroughs to follow! Frustrating, but it's OK. This game is just perfect for me! I had to usually do each level at least twice because the level starts immediately, it doesn't wait till you do your first click and you don't know your goals untill the talk stops. I imagine this is a pretty easy line of programming to put into the application and I think the dev's were being lazy here but I won't take away a star... THIS TIME! The imaginative use of rain, wind and lightening added a new, fun, and interesting element to the same old theme. I loved it! Being middle aged, I don't have the speed of the young so this game was just right in the challenge department. Everything was easy on the eyes and the music could have been better. Storyline could have been more elaborate but it's not really what i look for in this type of game. I so recommend this game, especially for us more mature folks! Rated 5 out of 5 by Tiger2010 from This game should come with an 'addicting' warning! This is my second venture into these types of 'gather resources' games (after Ballad of Solar) and I have to say it completely hooked me. The beauty about these RM/TM games is that you can aim for gold or silver (gold is actually really quite hard to achieve - you need a solid strategy from the word 'go' to do it), or you can amble along, enjoying the whole thing and still progress - there's no needing to replay a level countless times in order to move on as is the case with a lot of Dash/Mania/Frenzy type games. I think I might have discovered a new love in terms of gaming. Some call them strategy games; others resource management. Whatever you wish to call them, they are highly addictive and suitable for everyone who likes them, as you are free to progress at your own speed; and if you choose to amble through it the first time, you can always try for silver or gold on every level on a replay. I'm sold on this genre, though I'm not very good yet - failing to get gold every time, but this has the replay potential to enjoy it the first time; and be more ambitious the next.